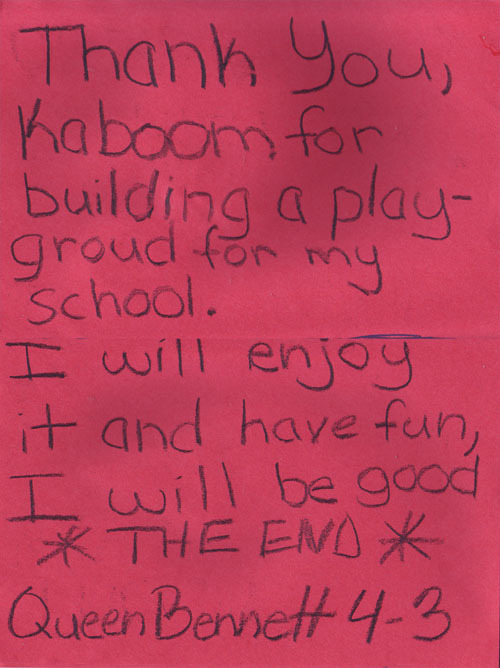 Thousands of kids are thankful for the 1,700+ playgrounds KaBOOM! has built in partnership with local communities and our generous funding partners over the past 13 years. 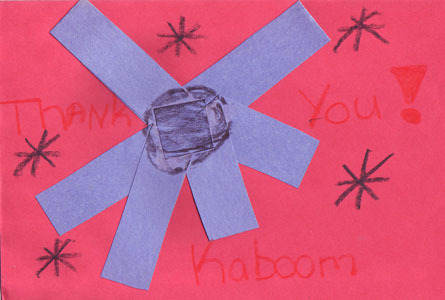 We've received a lot of creative thank you notes, and I wanted to share some of our favorites with you this week. This card almost feels like a letter to Santa, in that she promises to be good as thanks for the new playground! But I think my favorite part of this card is the fact that she wrote "The end." I guess it is kind of like a little story!